Wild Alaskan pollock has recently seen a rise in popularity, with many big names in the food industry introducing it into their offers. Following the lead of giants such as McDonald’s and Subway, Blue Apron has started using wild Alaskan pollock as the star of its latest dishes. Its customers can now try out recipes such as Manhattan fish chowder, one-pan spicy pollock with broccoli and rice, and crispy pollock with tartar sauce and a side of garlicky mashed potatoes, all highlighting the origin of the fish. 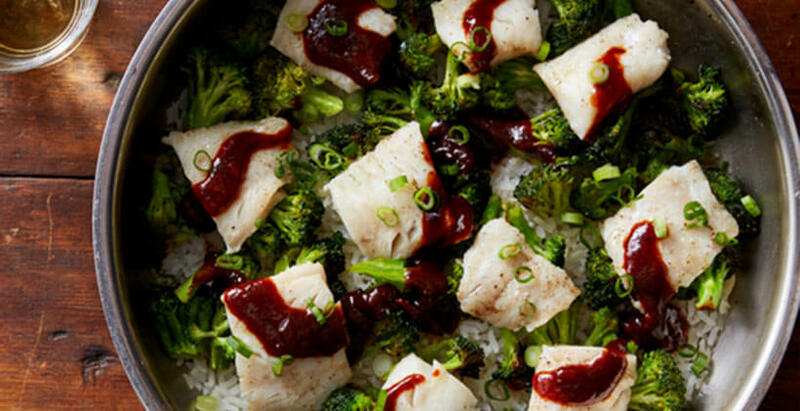 While it is still unknown whether Trident Seafoods is supplying Blue Apron with pollock for its dishes, it is a well-known fact that Trident is one of the main actors in the popularization of wild Alaskan pollock, as well as the increased focus on its origin. Namely, since Q4 2015, wild Alaskan pollock only refers to pollock caught by US fishermen and not the Chinese frozen products made from fish supplied by the Russians. Pollock has long been industrialized and the expansion in the range of pollock products is quite a novel trend. Its low price has made it quite attractive to buyers, which is one of the main reasons why this fish has made its way onto the menus of popular chain restaurants and meal delivery services such as Blue Apron. However, it has been speculated that the prices will rise in 2018, which may affect the recent developments in this sector. It is hard to predict how long this new pollock craze will last. Therefore, if you would like to try wild Alaskan pollock in something fancier than surimi, we suggest you take advantage of the situation and give one of Blue Apron’s lovely pollock dishes a try.